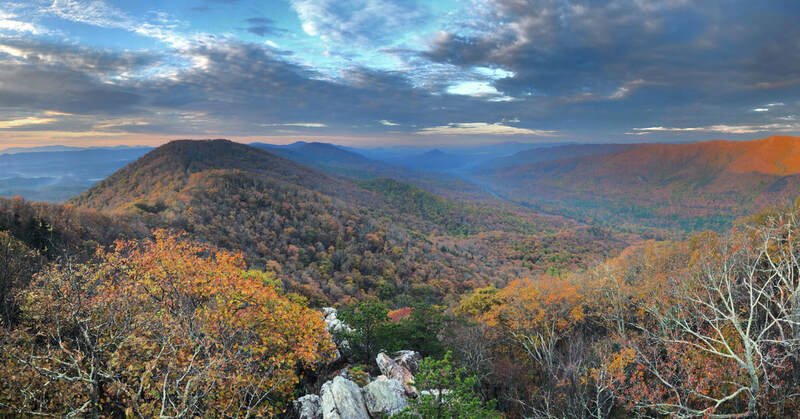 Help protect Virginia's last remaining wild places! Wilderness designation on federal lands assures that exceptional wildlife habitat, clean drinking water, clean air, and unique recreation will remain for future generations. 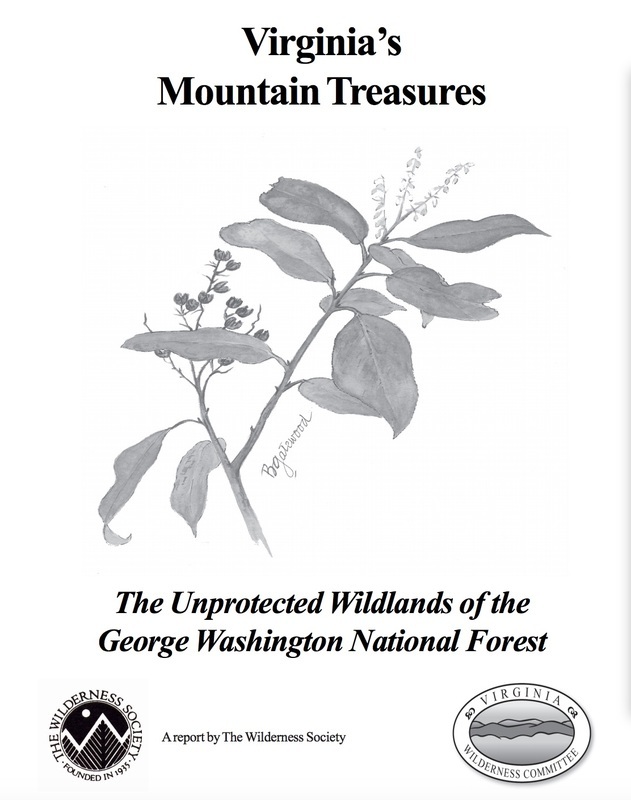 ​VWC's inventory of 63 of the finest wild areas remaining in the GW. It is from this bountiful reserve that any future additions to the National Wilderness Preservation System must be drawn. Read the full text and see maps. In October 2017, Virginia Senator Tim Kaine introduced an important bill, co-sponsored by Senator Mark Warner, that was cause for celebration. 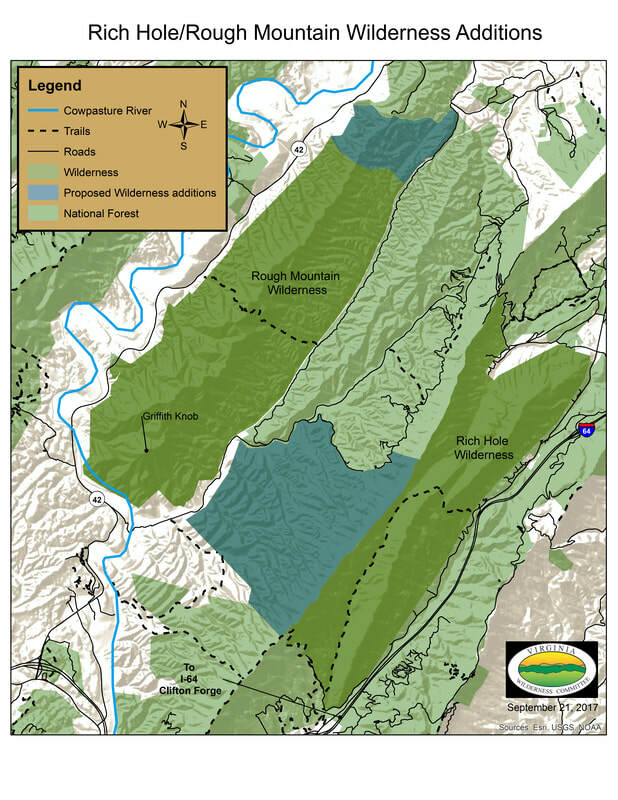 The Virginia Wilderness Additions Act of 2017 called for designating an additional 5,600 acres of the George Washington (GW) National Forest as Wilderness. Those lands, which are already part of the GW, would be added to two existing Wilderness areas, expanding protections for this remarkable area to nearly 21,000 acres, located in the rugged territory in southeastern Bath County. The bill was wrapped up into the 2018 Farm Bill, but did not make it into the final piece of legislation. In January 2019, Senator Kaine and Senator Warner re-introduced S.247 - Virginia Wilderness Additions Act of 2019; which was read twice and referred to the Committee on Agriculture, Nutrition, and Forestry. If you are interested in learning more about this bill, the Lower Cowpasture project, and the work we've done, along with many partners, over several years to make it happen, click here.